NEW DELHI, India (CNN) - U.S. officials said President Obama and Indian Prime Minister Manmohan Singh discussed for a second time on Monday what information the U.S. government had about David Headley, an American informant who played a key role in the 2008 terror attacks in Mumbai that left 164 people dead and rocked this country to its core. At issue is why years earlier the U.S. government failed to act on several warnings that Headley, a small-time drug dealer who was an informant for the Drug Enforcement Administration, might be a terrorist. Ben Rhodes, a top White House aide, told reporters traveling here with Obama that the president discussed the matter with Singh in a private one-on-one meeting on Sunday night and then they discussed it again on Monday before a joint news conference. When asked if Obama apologized about the mistakes made by the U.S. government before he took office, Rhodes said no because U.S. officials only had general information suggesting Headley might be a terrorist, not specific intelligence showing he was helping to plot the Nov. 26, 2008, attacks in Mumbai, known as the 26/11 attacks. "The nature of the situation wasn't one where we had information that was relevant to the 26/11 attacks," said Rhodes, deputy national security adviser for strategic communications. "What we had is various different kinds of information about David Headley that, again, weren't specific to a particular plot in India, had more to do with suspicions about David Headley. And again, so it wasn't an instance where we did not share something related to that particular plot; it was information related to David Headley." The New York Times reported Monday that the U.S. government sent Headley to Pakistan in the months after the Sept. 11, 2001, attacks, despite having information suggesting he sympathized with radical Islamic groups. After arriving in Pakistan, Headley started training with terrorists and eventually helped plan the 26/11 attacks. The case has become the latest example of communications breakdowns within the intelligence community that can have deadly consequences, with the Times reporting that the concerns about Headley's radicalism were not shared with his handlers at the DEA. Two of Headley's ex-wives also went to U.S. authorities between 2005 and 2008 warning that they worried he was plotting with terrorists, but those concerns were ignored in the run-up to the 26/11 attacks. Rhodes said all of this is now the subject of an investigation by the Director of National Intelligence, James Clapper, who has done an after-action report about what went wrong that will soon be released to the public. "And I think what we found is the United States had pieces of information that had come in about David Headley," said Rhodes. "They were not the kinds of information that we were able to connect to, for instance, the plotting that was in Mumbai. It was information about people's concerns about David Headley. 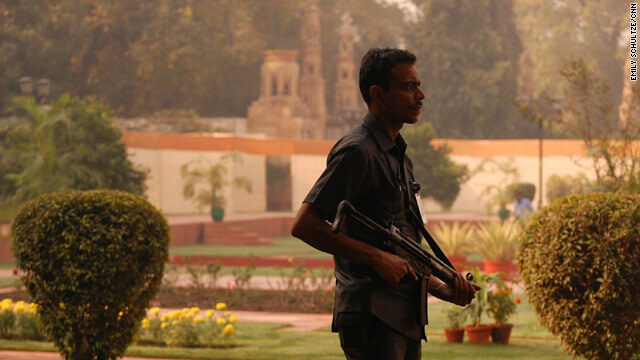 We did provide strategic warning to the Indian government about the potential for attacks before 26/11. However, that information was not specific to David Headley." Even though the mistakes occurred before Obama was sworn in, his administration is being aggressive about trying to be as cooperative with the Indians as much as possible to smooth over tensions as the president works to build a broader partnership with Singh on a range of issues, including trade, climate change and counterterrorism. Rhodes said Monday that Obama had shared key parts of the DNI review with Singh in private, and that U.S. officials allowed Indian authorities to talk to Headley after he was captured. `What we did as information came to light about this is do a review within the DNI's office, kind of an after-action report, in terms of what we knew about David Headley," said Rhodes. "And the president shared some of the results of that review with Prime Minister Singh. So he did discuss these issues with him." In a speech to the Indian Parliament on Monday, Obama also won wide applause when he vowed, "We will continue to insist to Pakistan's leaders that terrorist safe-havens within their borders are unacceptable, and that the terrorists behind the Mumbai attacks be brought to justice." As with everything, there is more than meets the eye here. While surely, the US would've warned India if they knew this Headley guy was planning something specific, they have been more than lax here. Case in point – he was of Pakistani descent (dad was a diplomat from there), anti-social tendencies (he agreed to co-operate after getting caught), went to Pakistan many times, albeit for the purpose of gathering intelligence. AND, he went to India. Now, all this put together, combined with his previous spouse's warnings should have triggered the requisite alarms and warnings – which clearly did not happen. With the level of danger in this new 'world order', this has been more than a slip in the crack – the results which were devastating all over. Hope that this is a lesson that is not forgotten. The costs are way too high.